I would never say hops are a bad thing. They're an essential part of beer--and well used, are critical to imparting great aroma and flavor to our beers and ales. But the current tendency in American Craft Brewing seems to be adding hops to the point where they often dominate the taste profile...and where their over-use almost becomes an end in itself. As a result we are left with double and triple-IPAs, "Hoppinators," "Hoppus Maximus," "Hop Killers," etc. etc. While some of these beers are fine for sampling, their bitterness and "hit you on the head with a hammer" qualities make them impractical for any type of session drinking, and I've found many to be almost undrinkable. (I've had some beers that were loaded with so much Simcoe that I thought someone had poured a cap full of PineSol into my beer.) At best, I find myself saying - "Well, that's good, but I couldn't drink more than one." For those who like these kinds of beers, fine. But my worry is that this hop craze is having a detrimental effect on Craft Beer overall--to the point where the high-hop focus is insinuating itself into beer styles that are not traditionally hoppy. Even experienced craft brewers seem to be falling into this trap. I've always loved GLBC beers, but over the years, I find their offerings all morphing into a very similar hop taste profile. Over the past year, I've had an Oktoberfest and a Pilsner from them that were far too hoppy for the claimed style--and many other quality craft brewers seem to be heading in the same direction. It's easy to think that the hop-craze we've seen here in the US might have filtered into our general approach to brewing. 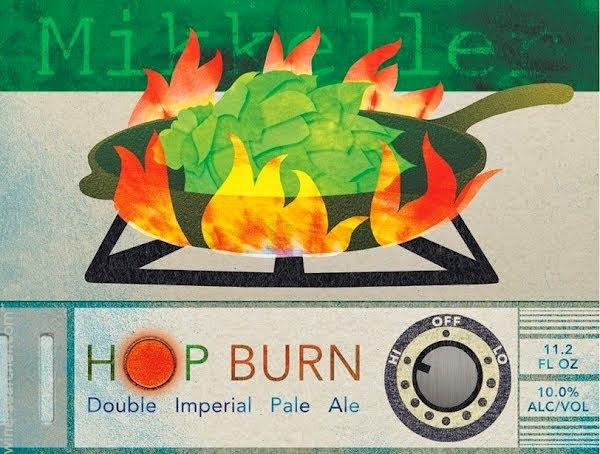 A lot of Americans under 35 have become accustomed to highly-hopped beers...perhaps to the point where brewers feel a certain amount of bitterness is required if the beer is going to "taste right" to those folks. If so, that would be a shame--since those of us that don't need a ton of hops in our beer to know we are drinking a good one will be forced to suffer. Of course, I'm not the first to complain, and I won't be the last. It may get worse before it gets better. I've heard about an upcoming hop shortage (we can only hope) - but then I am also reading so many articles about how many people are growing hops in the US now (and why not, you can grow them in your backyard) that it seems inevitable that more and more are going to end up dumped into our beer by the bushel-full. Why? Just because we have them. I'm beginning to think US brewers should do us a favor and label some of these beers "American Oktoberfest," "American Helles," etc. -- so we get fair warning that we shouldn't expect these beers to adhere to the traditional beer styles at all; that they have been "hop-boosted" to please what they have come to believe is the common American preference. That way, they would not disappoint experienced beer drinkers who are expecting something more refined, subtle and well...traditional.